New initiative ‘The Hague Orchestra for Peace’ makes its beginning under the guidance of Amer Shanati. Musicians from diverse countries come together and play new compositions in which connectivity is key. They see music as the perfect language for peace because it communicates across borders, both collectively and individually. “I am Palestinian and was born in Syria. I came to the Netherlands a year ago.I have lived for 27 years without the feeling of peace, I want to be able to help spread peace in this cruel world through my music, music gives hope”. Amer Shanati fled to Syria from Netherlands. In the first refugee center in Onnen, where Amer was staying, he quickly gained fame with his music. In Syria, he was a music teacher and bandleader, and author of music books. 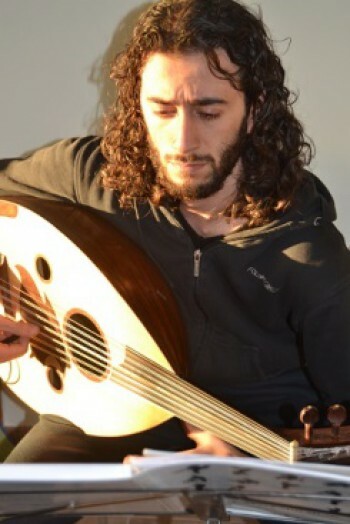 Amer starred in Syria and in the meantime he has played in the prestigious Concert gebouw in Amsterdam and he was heard on the Dutch Radio. In December 2014, Amer received a residence permit for five years, and currently he lives in The Hague.